She's a ball of fire, constantly moving, talking, acting, fighting for journalists' rights, documenting events on tough assignments, traveling, training colleagues, and if possible, she's add 48 hours to every 24-hour day. She's Abeer Saady, an Egyptian journalist who at age 14 got a magazine internship and began an illustrious career working for various local and foreign media. "I had to lie about my age. I told them I was in my first year at the university studying English. I was in secondary school. Three years later, I entered the faculty of mass communications," she admitted. 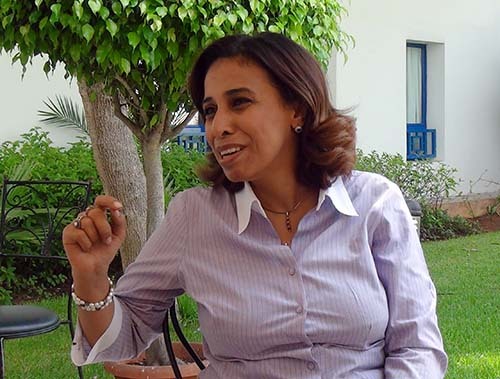 That led to stints in several newspapers and magazines until she landed at Al Akhbar, one of Egypt's major dailies, covering events and noted figures at home and abroad. Today, the thirtysomething Saady is vice president of the Egyptian Press Syndicate and seems in a constant battle to protect journalists and photographers from being targeted by authorities. It happened under ousted president Hosni Mubarak, the transitional Supreme Council of the Armed Forces, ousted Muslim Brotherhood president Mohamad Morsi, and continues under the current transitional Egyptian government, purportedly run by Defense Minister Abdel Fattah Al Sisi. I asked whether the situation for journalists today was better, the same, or worse under Mubarak and Morsi. Her reply: everything has been ugly since the days of Mubarak. "We are the mirror and no one likes his image. It is easier to attack and break the mirror," she lamented. Which explains the violence and violations of human and press rights as well as the killing of journalists, she said. Adding fuel to the fire has been the media's role in provoking and promoting hate speech, which Saady describes as "crimes against ethics." "Self-regulation is essential," she noted. "I am a member of a new preparatory committee for a press council." 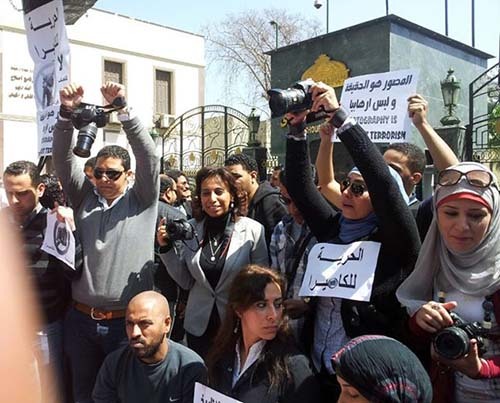 Egyptian journalists have been subjected to the heavy hand of successive governments, using seemingly inconsequential excuses to impose heavy fines, jail terms, and worse, on critics, based on rigid media laws. So how do journalists function in such uncertain, transitional conditions in Egypt, one of several countries involved in the so-called Arab Spring? "The Arab Spring is a Western expression," Saady said, insisting it does not adequately describe the state of affairs. The region's dictatorships, coupled with excessive corruption and poverty, pushed people to the boiling point, and to the subsequent revolts. But the uprisings did not go far enough, as Saady explained, because the people just rid themselves of heads of regimes, not the actual regimes. "The Arab Spring was an opportunity to report the revolution and the aftermath of the revolution in Tunisia and Yemen," she said of her assignments there, but she had a better chance to cover the wars in Libya and Syria. She went several times to both countries. The most gripping moment was when she entered Tripoli in August 2011 and stepped into former Libyan leader Moamar Qaddafi's Bab El Azizia stronghold after he was toppled. It was deserted and the streets were empty for three days during that Muslim holy fasting month of Ramadan. "Suddenly, they came out on the eve of Eid El Fitr (the feast marking the end of Ramadan)," Saady said. "They didn't believe that Qaddafi had left. They celebrated everywhere." 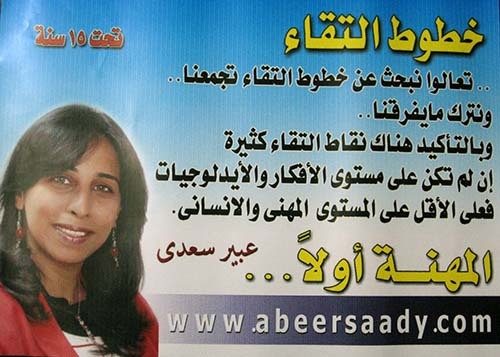 How does Saady manage all her responsibilities and maintain balance in her life? "I have a very strict schedule, it is all about time management," she told me, adding that she lives for her work. When she's not reporting, she's training, or managing training sessions at the syndicate and across the Middle East/North Africa region. The training is based on her own experience as a local reporter and as a foreign correspondent as well as on international guidelines. On the home front, journalists have had to put up with physical and psychological threats. Some have even been killed on the job during violent clashes between authorities and demonstrators. Similar dangers have lurked in foreign countries, so journalists have had to be alert, well equipped and trained not just to collect and disseminate news, but to stay alive and to handle crises. 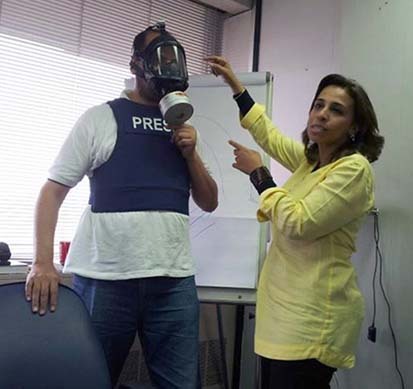 Enter Saady with her war, riots, crisis and first aid training to protect Egyptian and Arab journalists. But it's the syndicate that seems to take a good slice of her time. Hers was a doubly won victory. She was elected to the board in 2007. She resigned after the recent revolutions, believing in the democratic process of choosing representatives who reflect the will of the people, and ran again to a resounding victory. 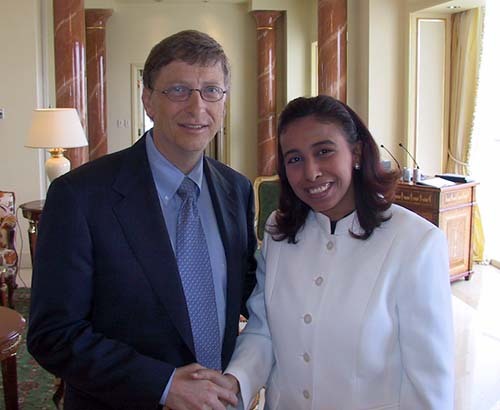 In November 2011, she was reelected by the highest number of votes in the syndicate's history and became its first female vice president.